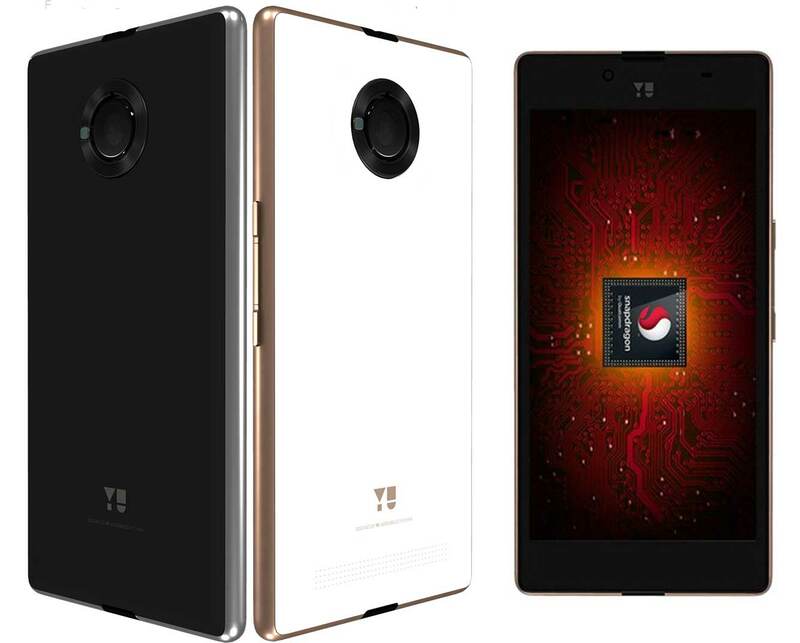 Micromax newly launched brand YU has launched their yet another smartphone, the YU Yuphoria YU5010 priced under RS 6999. The new MMX Yuphoria comes with some great specs considering the price tag. It comes with 2Gigs of RAM similar to Yu Yureka, Xiaomi Redmi Note 4G, Lenovo P70, Lenovo A7000 and A6000 Plus. The phone is made and assembled in India. The metal frame on the phone makes it easy to grip and offers a premium look. BUY MMX YU Yuphoria from Amazon : no registration required open sale (update). The YU Yuphoria 5010 is accomplished with 5 inch IPS Fully Laminated display having resolution of 1280 x 720 pixels and Gorilla Glass 3 Protection. It draws the strength from 1.2GHz quad core processor coupled with Adreno 306 GPU. The Yuphoria runs on CyanogenMod OS 12 based on Android 5.0.2 Lollipop. It has 8MP primary shooter with f/2.2 piece of glass. The front camera is of 5-megapixel and has 4p lens that offers 86 degree wide angle lens. The phone has DUAL SIM support with 4G LTE connectivity on both the SIMs. For better audio experience there is Cirrus Logic Wolfson Stereo DAC, Audio FX and AAC TECH for loud speakers. it houses 2230mAh battery that offers 7 hours of talk time and 160 hours of standby time. In order to buy Yu Yuphoria you have to register on Amazon India. The phone will be available through online flash sales only, which will begin on MAY 28th. It comes in Gold with white and silver with Black colors. 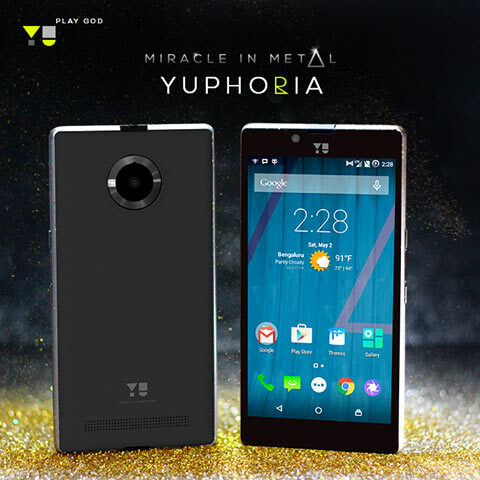 Here are some tips and tricks for You to BUY the YU Yuphoria Successfully in Flash sales. hi. i need to buy this phone YU 5010.. pls suggest how to book it. It's a wonderful phone with all the required features, that too in such a low budget. Sound quality, picture quality, speed and almost everything is admirable. I would recommend to just go and grab it now. i think my search for best smartphone ends with yu 5010 within my budget because i think it has all those feature which satisfy me. So good It,s awonderful phone with all therequired features . what about battery condition ? please suggest me ! Battery seems to be OK , considering the price. very good mobile... and how to record the call records> please tell me..
Poor Worst service center..... Please before buy check the service center response. No physical service center is there You have to call them every time. I have issue of front camera & has logged the call then give one troubleshooting steps & again call them new steps. Again call there answer is we are checking. Hows there are checking if mobile is with me so funny silly question there are asking.. Again call answer our technical team will call you in Next 24-48 working hours NO one time they replied on mail & they are thinking mail as junk. This phone like Chale to chaand tak nhi to shaam tak.